I haven't been a Nate Wooley fan very long but I have come to learn to expect the unexpected when I put one of his albums on. Nate Wooley's latest, (Put Your) Hands Together is no different. For me it is the best album as leader I have heard from him. 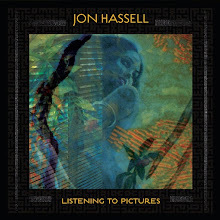 And, (Put Your) Hands Together is causing my list of best albums of year to grow quicker, a lot earlier this year. Wooley likes to explore sparseness of sound and space. His music has melody but it is more the improvisation and harmonics that take precedent on his recordings. And his quartet take will take you on a journey that is both brave as it is illuminating. (Put Your) Hands Together is a dedication to the family and friends that have shaped and inspired his life. There is exuberance and delicacy throughout this session making it also one of the more "accessible" yet still best improvisational recordings yet from the increasing important trumpeter. The title track, "Hands Together" puts forth the marching orders for the band--be expansive, creative but always intimate. One of the great things about Nate Wooley's music is the difficulty in trying to describing to my friends. 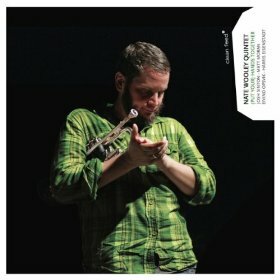 I feel like Dave Douglas, Nate Wooley has his own vision of jazz going beyond what the instrument is supposed to do, how the composition sounds and how we the listener are expected to encompass it. "Hands Together" moves in different directions (both straight ahead rhythm to deconstruction) and it makes for an exciting launching pad after the sparse solo trumpet opener of "Shanda Lea 1". Explorations in sound and density are always a benchmark of Nate Wooley's recordings. This plays out nicely on "Pearl", a short but evocative piece which the quartet take most if not all the lead. There is a hint of Wooley's interaction in the opening few chords but you have to listen closely. This composition is more a vehicle for the rest of the group to experiment with space and they do it exact and efficiently. The repetitive motion and almost good nature of "Ethyl" and "Hazel" is another instance where Wooley moves between boppish themes and deconstruction with ease. With some wonderful interchanges between Josh Stinton and Matt Moran on "Ethyl" it feels ethereal and yet grounded in playful humour. "Hazel" brings a high level of beauty to the (Put Your) Hands Together. A ballad that is truly touching, emotional and introspective from its creator. (Put Your) Hands Together is hopefully the moment where a new audience starts to advance towards the ideas put forth by Nate Wooley. There are very few trumpeters on the scene today with his kind of vision and the skill to pull it off. He is playing without really thinking about the structure so much as he is thinking where the music will take us next. Highly Recommended.